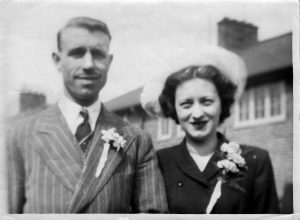 Betty and Jack George on their wedding day in 1949. As the first person in her family to go to university, psychiatrist Dr. Lindsey George understands the power of education as a pathway to prosperity. “My parents immigrated here in 1957 when I was just three,” she says. “They had limited education, but they were both able to get good factory jobs and make a comfortable living for our family. The couple’s encouragement of higher education is celebrated through daughter Lindsey and son-in-law Peter’s fund at HCF.